More than 10 years experience in batteries production and assemble. New Battery free development ! Any customized Battery Pack is available! 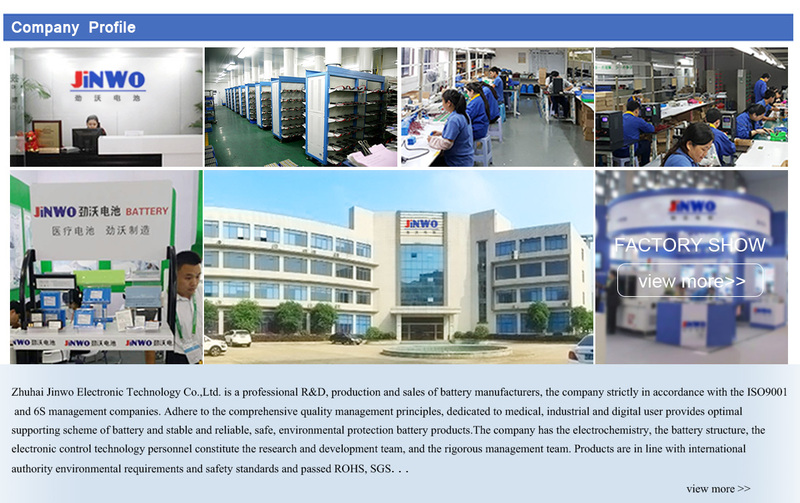 Jinwo Electronic Technology is one of the leading professional lithium battery manufacturers in China, As a professional power battery expert, we not only provide customers high quality batteries, but also our senior engineers provide you correct power solution and design for applications according to your products." Jinwo posses strong R&D team with preciseness, concentrating on electrochemistry, cell structure and electronic control. Jinwo believes in the development concept of 'Technological innovation shapes the future', as well as the quality policy of 'Keep striving for excellence, Keep quality coming first'. We devote ourselves to making high quality, efficiency and safe lithium battery. Our products have been widely used for medical instrument, mobilephone, tablet PC, bluethooth, photographic equipment, mobile power supply, electronic toys, and so much like that. Our products have also obtained UN38.3, CE and UL certificate. We have also received the recognition of our customers for high-quality products and good customer services. Besides, various size can be customized. We are looking forward to co-operating with you to create a brilliant future with our sincere service, highly responsible professionalism and good reputation.